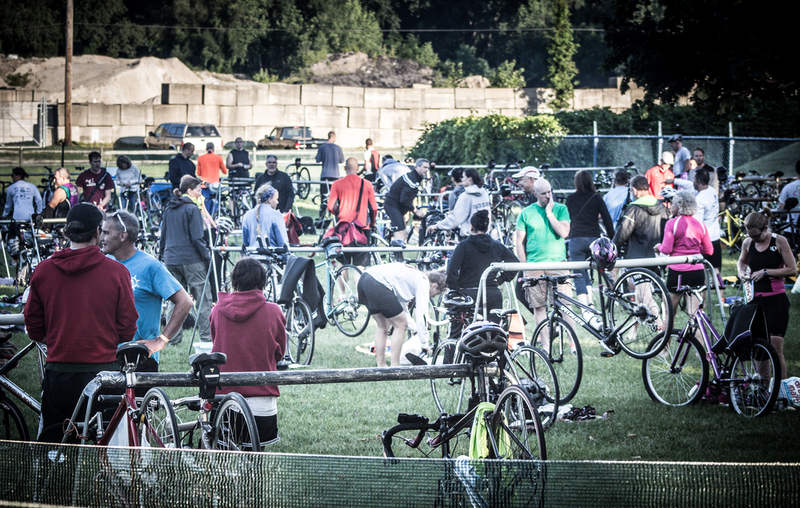 Today was the annual sprint triathlon in Fairport Harbor, organized by the Lake Metroparks. 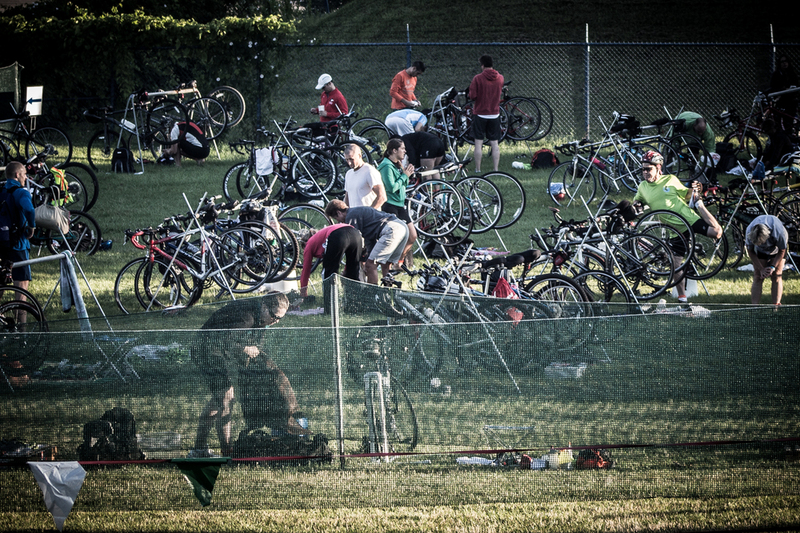 It was a beautiful day for the race - sunshine, 70 degrees, and slight breeze. Over 400 people participated in the race. I gave up racing a few years back, but several of my friends still compete, so I go to support and take pictures. This year I tried some techniques that I have not used previously. Before things got busy I took a few shots of the staging areas using my wide-angle lens. For the race, I switched to my telephoto lens. I wanted to give it a try. The telephoto would allow me to get back far enough and provide some interesting depth of field. For processing I wanted to get away from my standards. I used Matt Kloskowski's desaturated sports photos presets for Lightroom. I photographed several of my friends while they were racing, but the photos of my friend and neighbor, Brent, turned out the best. I did learn a few things from looking at my photos. I don't spend enough time or make the effort to find the best angle for a shot. For example, the third picture of the kayaks with the pennants should have been turned slightly to get the sun positioned better between the flags. The tight shot of the kayak is not one I would normally publish, but for learning purposes, I could have shot a more interesting part of the kayak. And in the running and cycling pictures, I didn't have the best angle, which caused some feet to be cut off or distracting objects in the shot. Overall I'm happy with my first attempt, but it takes a lot of practice to get through all the little details.